Wherein Skrobek takes a cue or two from Sugimoto but heads out in an oblique direction. On the first of two tracks, guitar strums isolated in space nod to Taku but the strums are far more colorful and the intervening space, though often silent, is inhabited by gassy rumbles and electronic bleeps. I get something of a slowly whirling constellation image, four or five elements wheeling into “view”, but in a complicate manner, their rhythms not divisible into one another so the entrance of each from the darkness is a surprise. The second is sparser, made up of a handful of electronic sounds (plus the odd, pretty guitar strum), again each circling to the fore, alone or in unpredictable combinations. 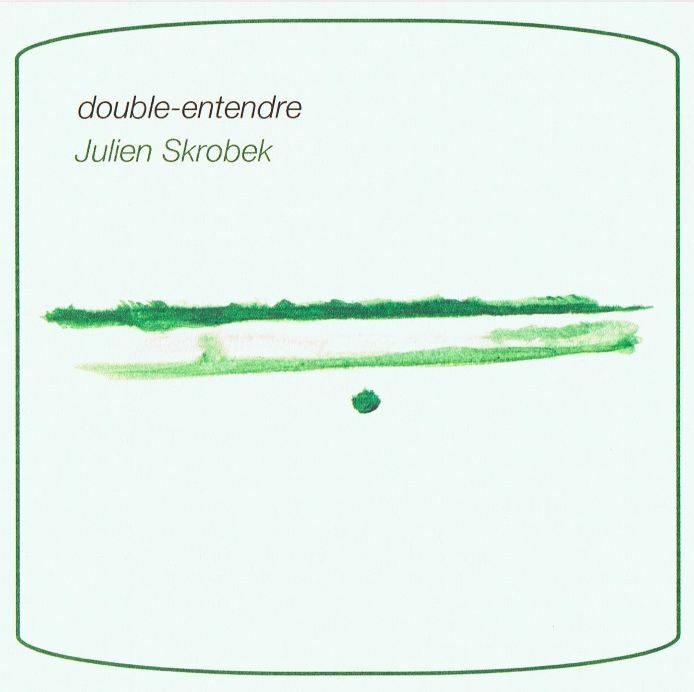 Something very nice, very unforced about the way Skrobek feeds the elements into the mix; the space between attains a plasticity of sorts. Very thoughtful, very good work. Julien Skrobek, who plays guitar and electronics. Furthermore the cover notes ‘anti-copyright’ and ‘free software’. That’s about it. Two tracks of twenty minutes, the ideal length for a good solid piece. Julien picks his guitar and then feeds this through a line of electronics, although this might also be a laptop with some real time processing software. Two times intense twenty minutes, with a relaxed and slow building up of the pieces, moving back and forth between the ‘real’ guitar sounds and the electronic processing thereof. It somehow reminded me of the very early Guiseppe Ielasi music or a very stripped down version of old Kevin Drumm. Very nice. Somebody to keep an eye open for in the future.